I didn’t make the claim! 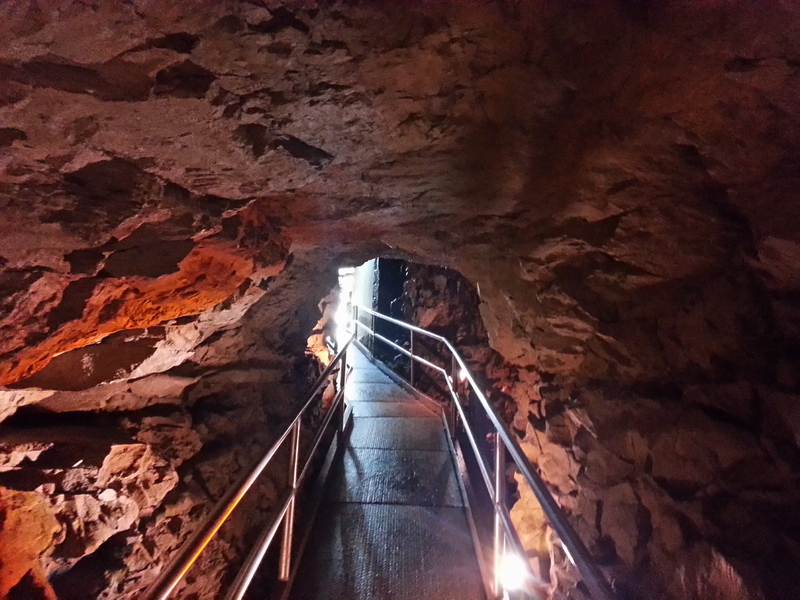 But in a recent road trip over Easter Kiwi and I ventured down to Mammoth caves. Sadly there aren’t any extinct mammoth bones as the name leads you to believe. Rather there is a huge network of underground caves and caverns. The worlds largest in fact! They have even been featured on numerous tv shows and are pretty impressive. Mammoth caves national park is tucked away on the Kentucky and Tennessee boarder, when you drive into the park its covered by a vast forest with some small hills and sink holes. When we arrived it was fairly busy so we took some time to walk around the park and along the river, spotting several deer and colourful birds. We kept an eye out for beavers and exciting animals but as it had been recently stormy the river was fairly high with a lot of swept branches. We looked at the range of tours on offer, and settled for the domes and drip stone tour. This looked a little more interesting and covered more of the caves than the historic tours and one hour trips. 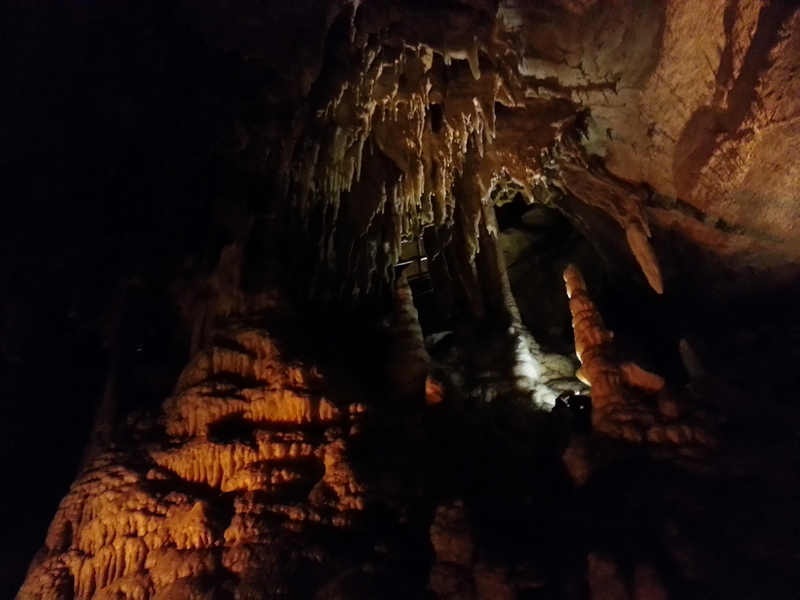 This two hour tour takes you down through some of the popular caves and along some of the smaller areas and ends seeing some stalagmites and stalactites. To start off with we boarded some ‘school’ busses for out little trip. 10 minues up the park we arrived at a very large sink hole. The entrance – orginally a natural hole blown larger with some dynamite has an ominous looking door and several steps to descend into the ground. The tour then continues to descend fairly steeply down miles through a naturally formed narrow passageway. The stairway winds down further than you can see, and is lit with some simple fairy lights. 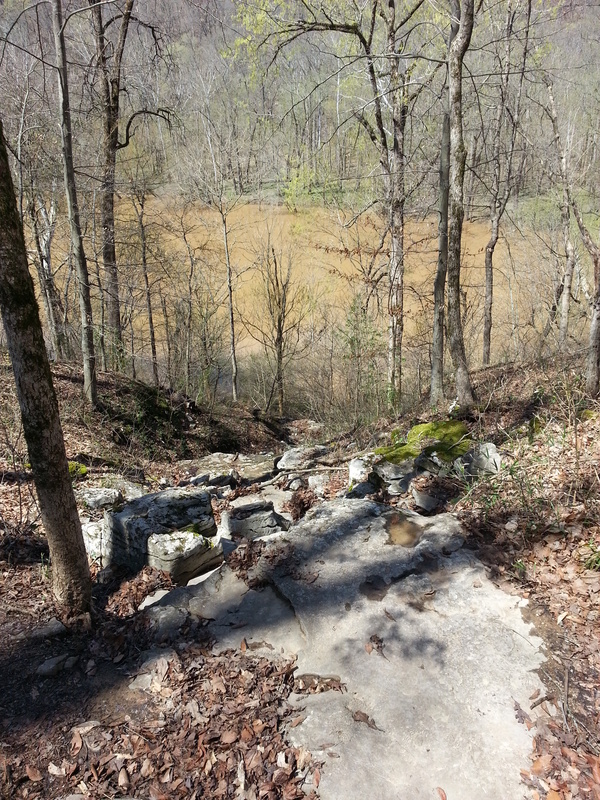 The stairs are built around the natural rock formations and runs deep into the ground. This leads to a large cavern which has no natural light and is completely silent. 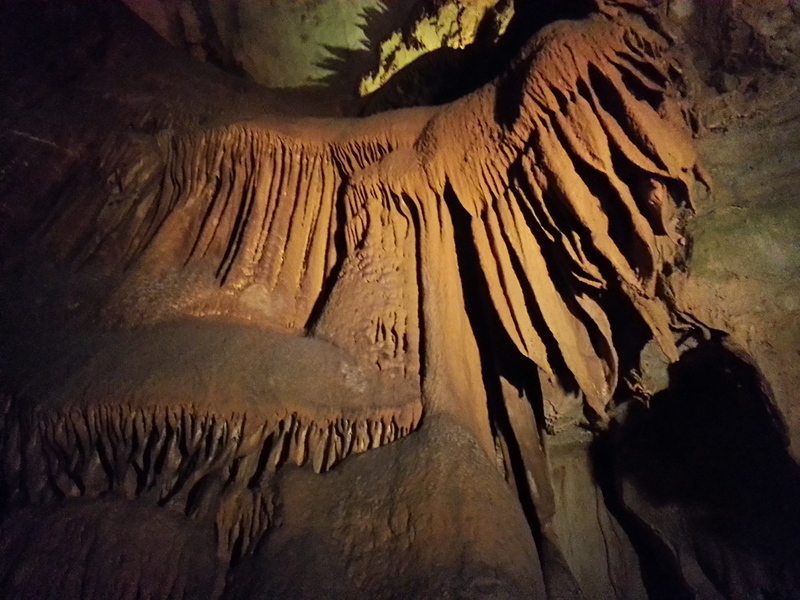 As the tour progressed we saw different areas of the caves, and walked along a huge stretch with a natural ceiling. This lead to an area of the caves that had formed several formations, which were pretty fascinating. As you then slowly climb back out you can sometimes spot bats too. We explored some more of the park although were disappointed not to find any ice cream stops. 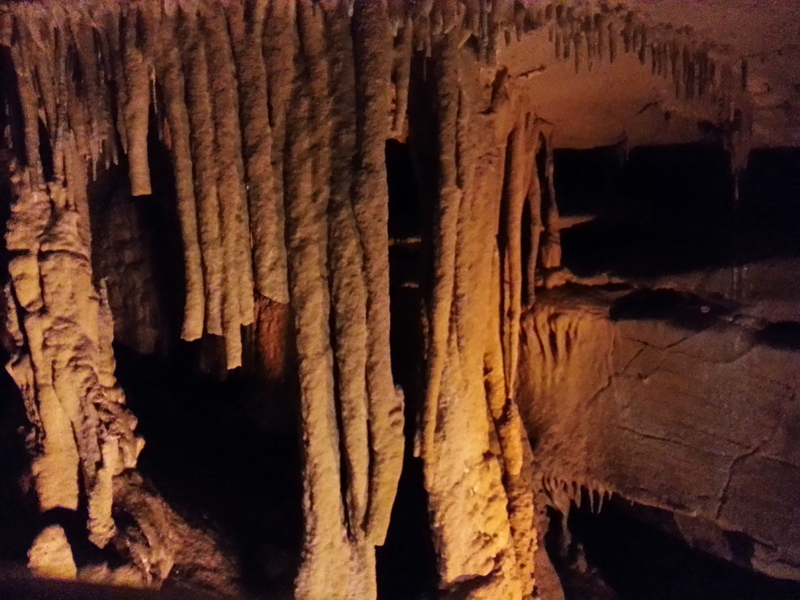 The caves were a great afternoon trip and perfect to escape the increasing heat and humidity. We then ventured onto the bright lights of Pigeon Forge!